In need of help still, need to make at least 188 more dollars before tomorrow, more if I can work it out so that things will go smoothly until and through my next pay day, due to losing out on several days of work due to governmental stupidity. 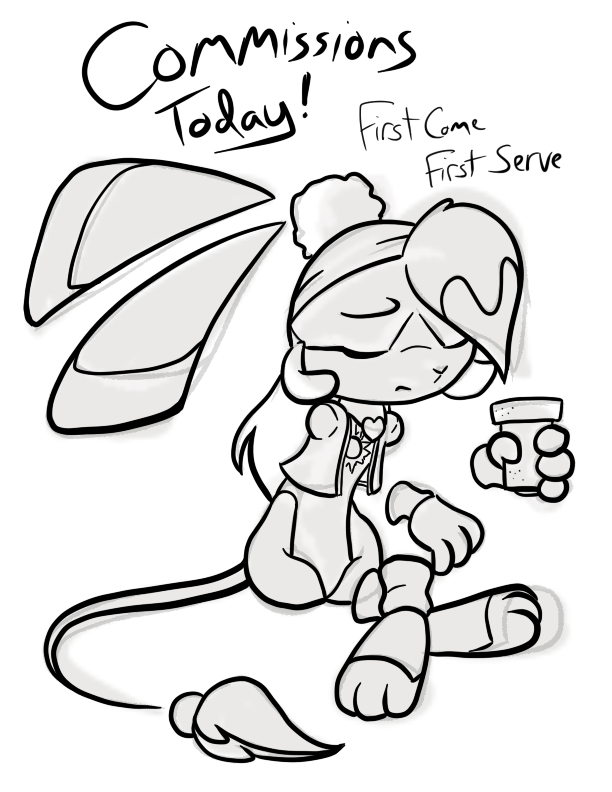 Today only, will be working on new commissions in the stream, on a first come, first serve basis. I will be doing this each Sunday, and use the other days of the week to work on backlog and such. Hopefully that will work better. Any help is appreciated, and I really hate having to keep asking for help like this, but even a full time job doesn't seem to keep the wolves at bay.